What is the importance of Pre Planning and Pre Arranging? Most of us plan ahead in life. We plan for our wedding, our children's education, family vacations and other significant expected life events. We also plan for the unexpected events of life by purchasing home, auto and medical insurance. Understanding the benefits of pre-planning and pre-Arranging has prompted many to take steps to plan their own funeral arrangements. Pre-planning is the first step. Today, more people are planning for funeral arrangements. Most people find that planning their own funeral in advance, offers emotional and financial security for them and their families. Pre-arrangement allows an individual or family to select funeral merchandise and services prior to death. You choose the options and services you want, and simply make easy monthly payments. 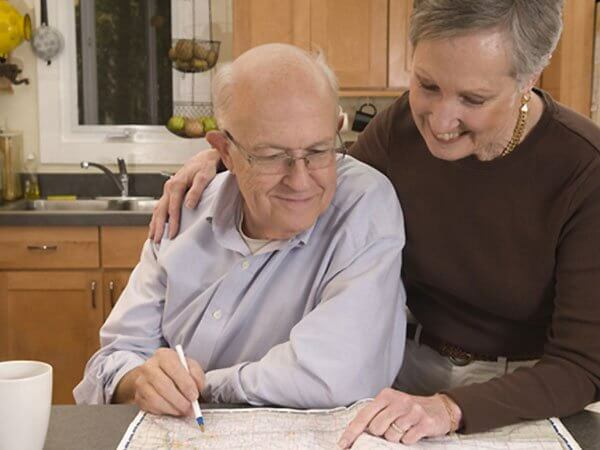 One of our trained professionals will meet with you privately at your home or the funeral home to explain our different Pre-arrangement programs. We are trained to provide personal, specialized attention to all of the details surrounding death and funeral services. We will inform you of all of your options and assist you in organizing your plans. There is no cost or obligation to make pre-arrangements with one of our staff members. Funeral arrangements are a deeply personal choice. Pre-planning provides you with the time needed to make practical and detailed decisions that reflect your standards, lifestyle, preferences and budget. When you pre-arrange services, you freeze today’s prices. With inflation steady increasing, you may protect yourself from future price increases. The choices you make today, will save your family money tomorrow. Your money is invested in a trust account governed by the Department of Banking. Pre-Planning offers peace of mind. Your loved ones will not be burden with emotional and financial decisions during the funeral arrangements. Your family will know exactly what you want. Your final wishes will be guaranteed.